Ships tomorrow if you order in the next 16 hours 3 minutes. Auto Ship & Earn + 170 Points What's this? 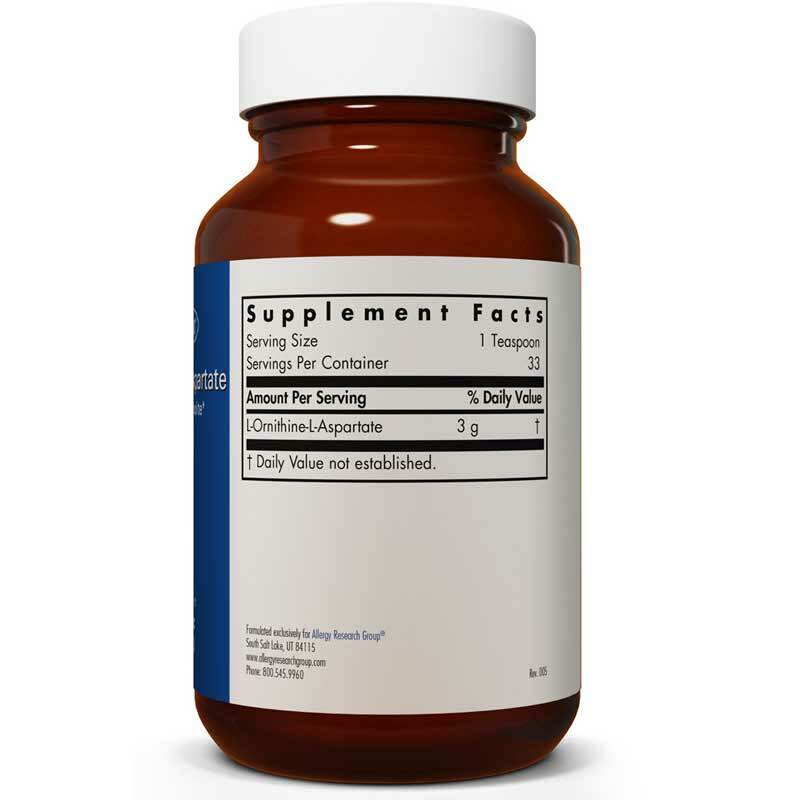 This dietary supplement contains a combination of amino acids that promote normal liver function. 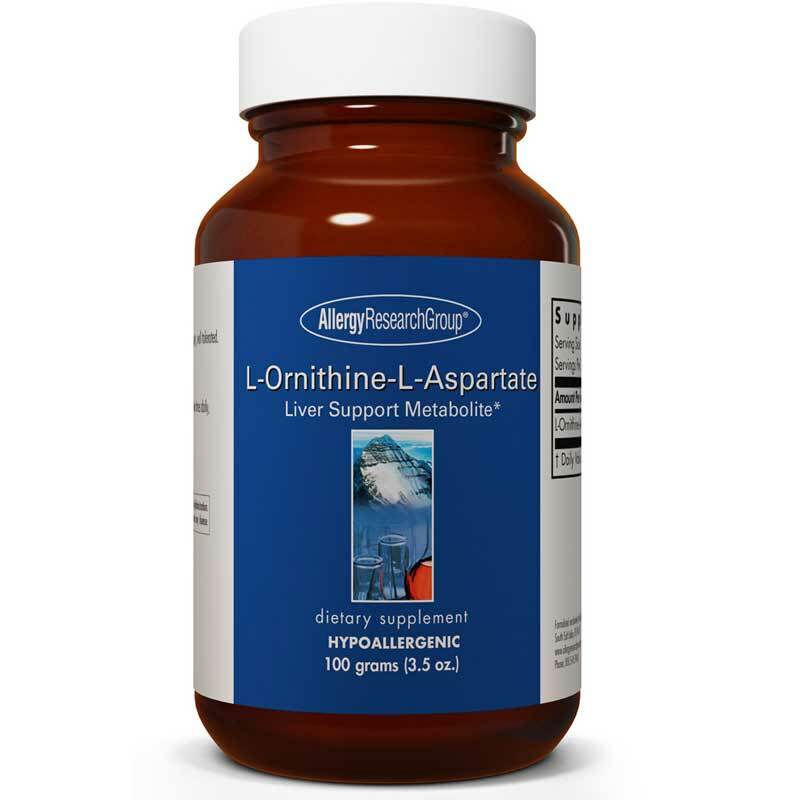 More specifically - L-ornithine-L-aspartate could help your liver convert ammonia into urea and glutamine so that it can either be used or expelled from your body. This supplement may boost immune system response, and could be beneficial for liver cirrhosis. There is some evidence that it could support athletic performance - especially in body composition and strength. That may be because these nutrients can promote the release of growth hormones, which play a role in metabolizing excess fat. 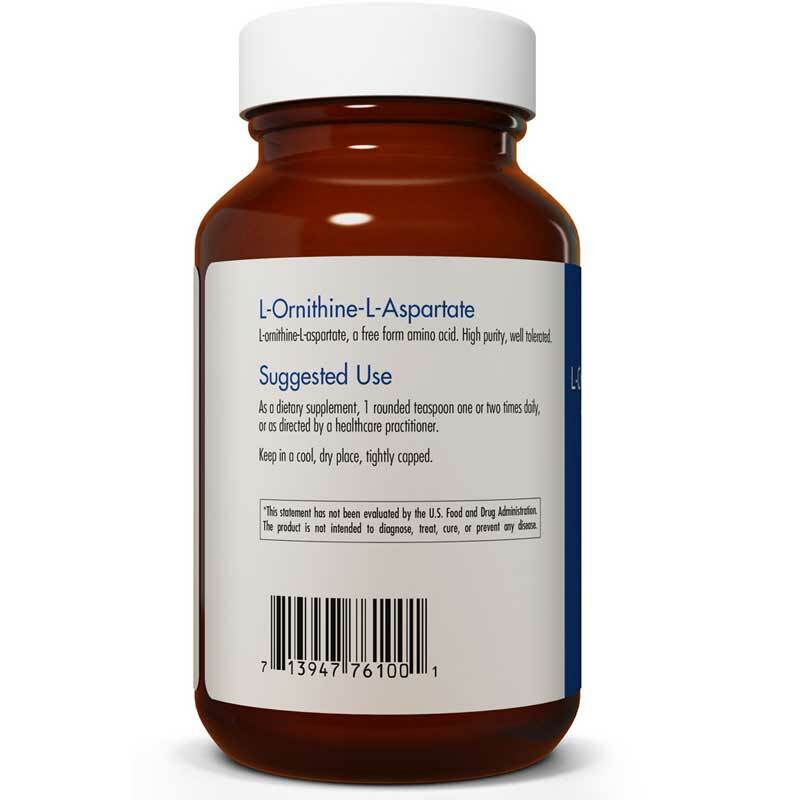 Choose L-ornithine-L-aspartate from Allergy Research Group today. Adults: As a dietary supplement, 1 rounded teaspoon one or two times daily, or as directed by a healthcare practitioner.